Welcome to our very first MAX Monday! If you’re unfamiliar with what exactly Max is, we’ll give you a quick description. Max is a service Netflix offers exclusively on the Playstation 3 & 4 game consoles. In what feels like a short “You Don’t Know Jack”-esque game, Max asks you to either rate a few movies and TV shows you’ve previously watched, pick a certain celebrity out of two choices you might be in the mood for, or even “Trust Him” and let Max pick a movie for you without knowing what it is until the movie plays. The algorithm of Max’s decision making also takes into effect what you have in your List already as well as other movies you’ve already rated, so make sure you rate everything you watch for the most accurate experience! Since we’ve started using the service a few months ago now, my roommates and I have been pretty much 90% happy with every choice Max has given us. We have shut down his suggestions a few times and had to go again, but whenever we watch what he picks we have almost always enjoyed it. So, for Max Monday’s I will not only review whatever Max suggests, but I will be giving you the details of what Max asked to get to said decision. Attempt 1: Max doesn’t load and I have to relaunch the Netflix application. This happens sometimes, along with Max sometimes going a little haywire and not actually showing you any choices, even though he says he’s giving you stuff. Attempt 2: “Remember when you let me pick for you?” This is Max’s Mystery Call, he’s almost always right with this one. This just means you pick Yes or No if you’re OK with Max blindly picking for you. Since this is our first time, I’ll pick No to give you a better idea how it works. 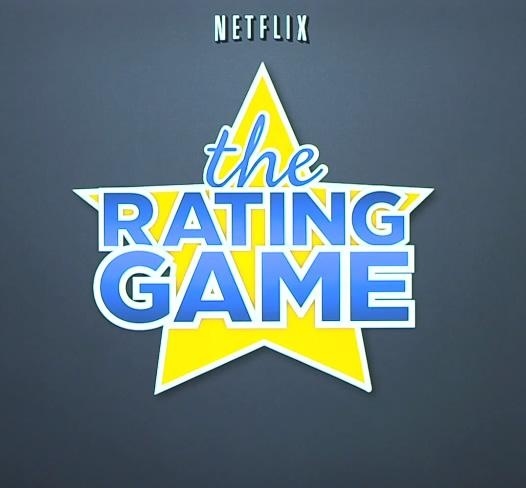 Time to play the “RATING GAME!” Basically Max gives you a few movies and you can either rate them, skip over if you’ve never seen it, or add it to your List for later. Max picks for me “Silver Linings Playbook” which I have yet to see…so here we go! Silver Linings Playbook is a film I’ve been wanting to watch since it’s release in 2012 but have always pushed aside because of how emotional I was told the story could be. Me being the big tough guy and all, I didn’t want to find myself sobbing on the couch or getting depressed if the story hit too close to home. So it was unexpected and with some reluctance that I went with it when Max suggested it. You can say no thanks to Max’s suggestions and he’ll give you a few back up choices in case his first fails, but I went with it anyways. Based on the book by Matthew Quick, Silver Linings Playbook stars Bradley Cooper, Jennifer Lawrence, and Robert De Niro. Taking place in the suburbs of Philadelphia, something I’m familiar with, the film follows Cooper as Pat Solatano, Jr. who has just been released from an eight month stay in a mental institute after finding his wife with another man and beating the holy hell out of him. He has trouble getting used to life again as he begins to live with his mother and OCD father, played by De Niro, and has trouble accepting that his wife no longer wants him around courtesy of a restraining order. Not long after widower Tiffany Maxwell, played by Jennifer Lawrence, enters the picture whose own mental issues and personality quarks rival Pats’. In an effort to get Tiffany to deliver a letter to his estranged wife, he agrees to help her in a couples dance competition and the two begin to bond and find that dancing and each others company lessens their own mental problems and makes their lives better. Silver Linings is a strange mix of drama, comedy, and romance that doesn’t always work well in movies but in this case it works with flying colors. The writing reflects real life instances we’ve all been in where one moment you may be arguing with someone and then suddenly laughing and joking or vice versa. The emotional switch never feels forced or unrealistic and even if you don’t aren’t bi polar, suffering from depression or any of a variety of other mental and emotional issues, you still find yourself believing in, accepting, and rooting for the characters of the film. For it’s terrific cast, acting, writing, emotional blending (that’s a thing, right? ), realism, comedy, and over all great story telling I gave Silver Linings Playbook 5 Stars! Check back next week, as once again we’ll play with Max and see what he comes up with for us to watch!